Here is my layout (Imagination) for Wacom Pen Scrappers Contest. I took this picture of my daughter at yesterday at Sea World. I love this picture because she come up with her own pose. I thought it would be a great picture to use for the contest. I used my favorite program Adobe Photoshop to create this layout. 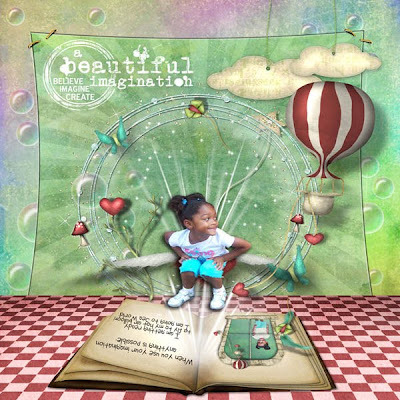 I love the Storybook Kit it is filled with fun elements. You can vote for me by clicking here.